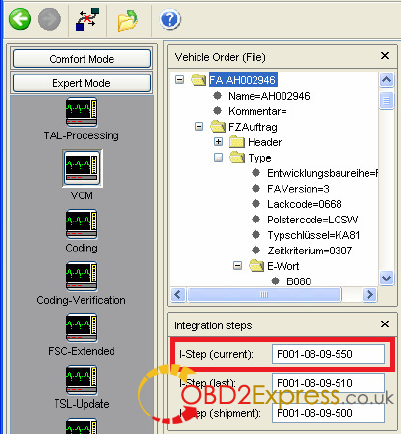 Here is a manual of how to read F series I-Step from VCM master, using BMW E-sys software. When you lost power in the middle of FDL Coding your CAFD, it became corrupted. What I am having you do is insert the same CAFD in it's default generic state and then coding it based on your specific Vehicle Order (Production Date and Option Codes) so in the end you will have exactly what you started with before the power failure and CAFD corruption. As I have repeatedly stated, so long as one isn't coding the DME module, you should code with the engine running, and will you never have to worry about loosing vehicle power mid-coding, unless of course you run out of gas. 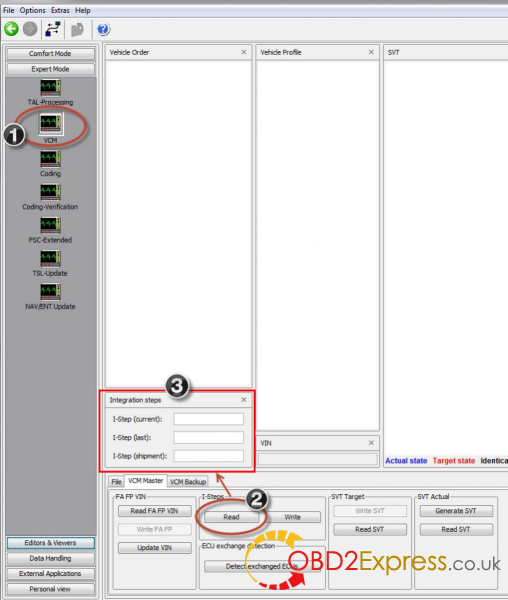 VDM UCANDAS Newly Add to support Android, If users have bought UCANDAS before, can use Android phone or pad to connect wifi to update directly. 3. Supporting English language at the moment. As for multi-language. 4. Supporting read code, version information, clear code, live data. 5. More update coming soon. I cannot tell the difference. But it is called the BEST Quality of VCM2 clone.